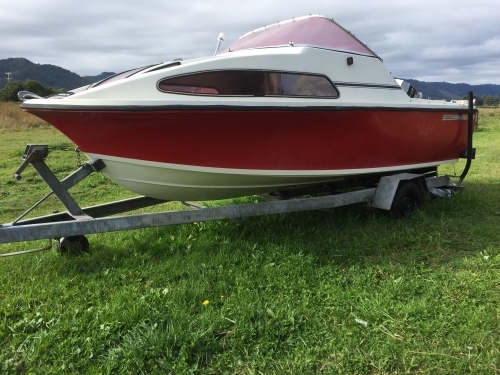 4.30 meter fishing boat, 60HP evinrude motor, Custombuilt Fi Glass trailer (rego on hold) Engine was regularly serviced when in use, last being January 2015, has sat idle for a few years as haven’t had time to use boat. 2 fuel tanks, aquxiliary bracket , boarding ladder , anchor- chain- rope , motor muffler (to rinse motor on land) Raytheon L365 fishfinder , VHF radio aerial . Email is best for faster reply, otherwise please use mobile number after 7pm thanks.